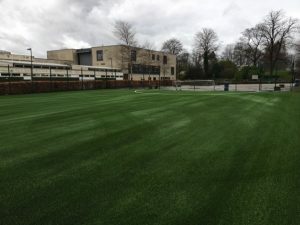 A new 3G Diamond Blade carpet was laid on the multi-user games area during the Easter vacation. 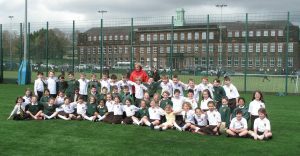 The MUGA is already in use by Primary pupils. Secondary will have access once additional netting has been added to the fence onto Chamberlain Road. The plan is to add floodlights later this year. 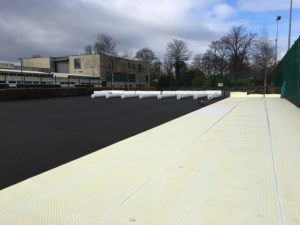 Resurfacing the MUGA forms the first element of our Development Appeal. We need to raise a total of £50,000 from parents, alumni and the wider community towards this project to match the grant from the Educational Amenities Trust. Here is the very first Primary visit!